We have a long driveway as the school sits far back from the street on the west side. Watch for the "one way" and "private drive" signs on Fairlawn Rd. 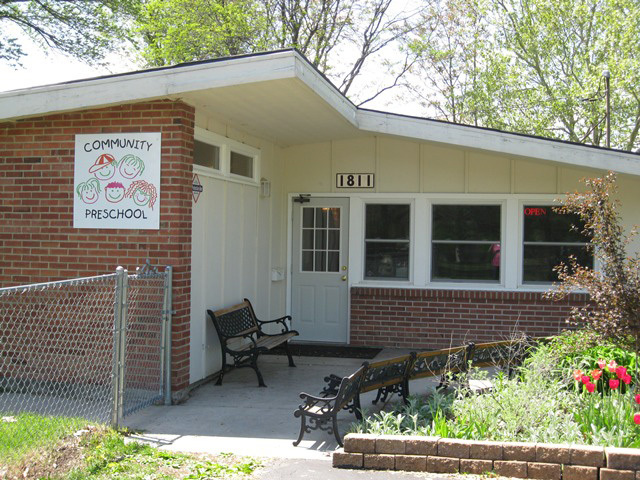 a few feet north of the Community Preschool sign. You may also access our school off of 17th and Amhurst Road. Amhurst Road is one block west of Fairlawn Road.